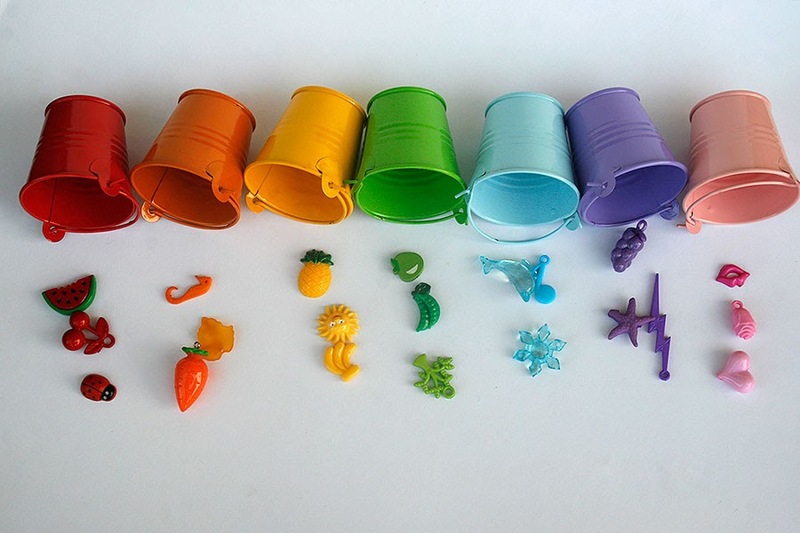 Miniature trinkets for color sorting, color matching and more educational games. 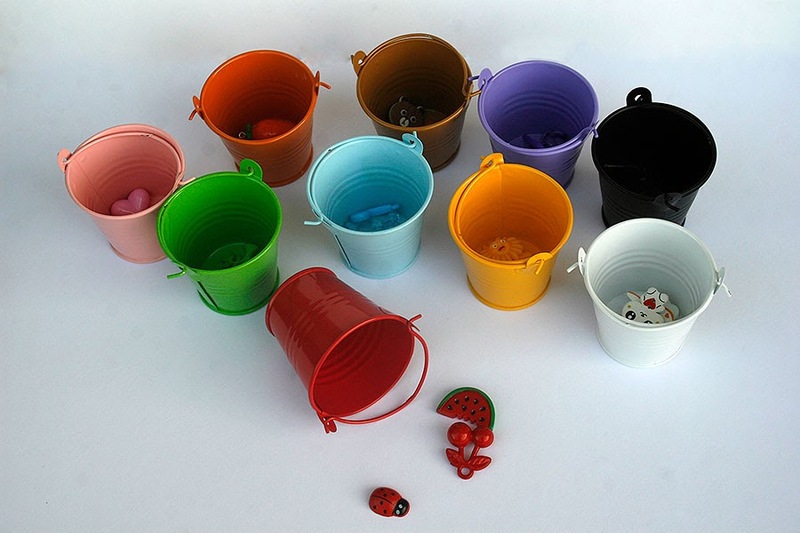 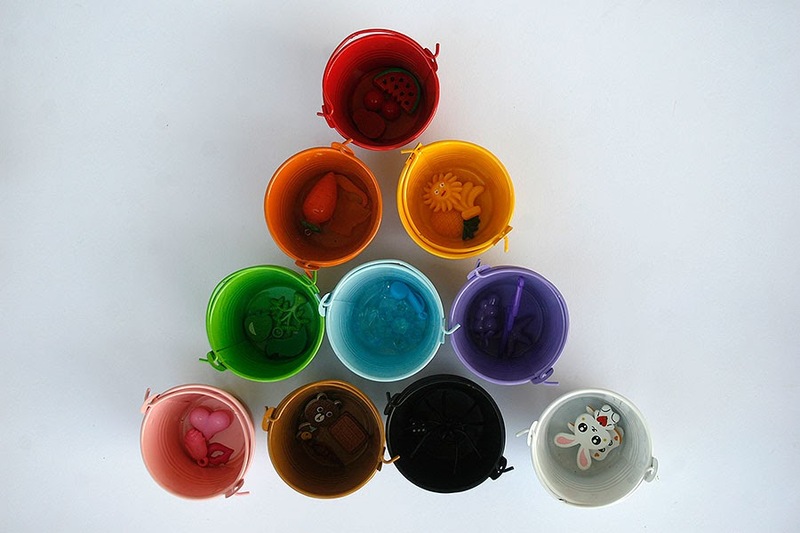 Rainbow set in colors red, orange, green, blue, purple, pink, white, black and brown with matching colorful pails. 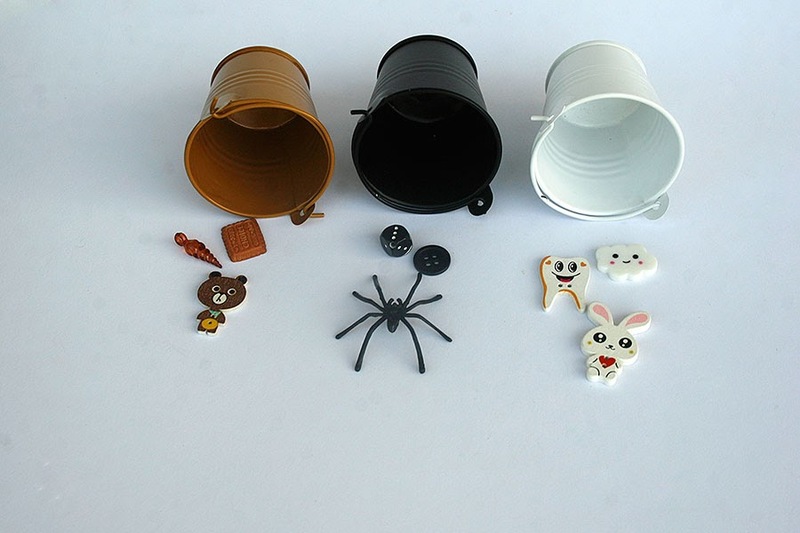 The trinkets are charms, beads, buttons, miniatures, cabochons made of plastic and wood.